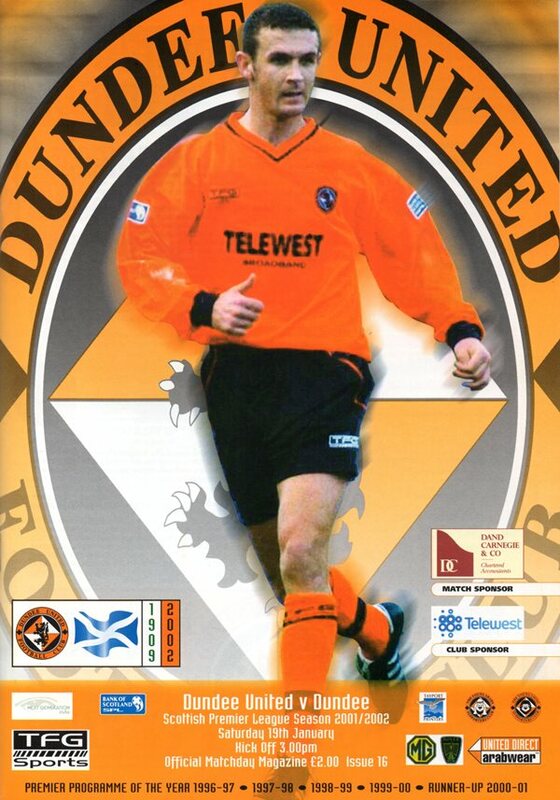 Almost 13,000 fans crammed into Tannadice for the third Dundee Derby of the season and as the two previous encounters had ended in draws both sides were determined to reclaim the city bragging rights with a victory. Alex Smith made four changes to his starting line-up from the 2-0 defeat away to Motherwell: Mark Wilson, Jamie Fullarton, Jim McIntyre and Charlie Miller coming into the side with David Hannah dropping to the bench and Jim Paterson, Hasney Aljofree and Stephen Carson missing out altogether. With Jim Hamilton’s last gasp equaliser on the first day of season at Tannadice still fresh in the memories of both sets of supporters, everyone in the ground was hoping that this match would live up to the drama and excitement of that particular clash. Unsurprisingly for a derby match both sides started the game off determined to impose their dominance on the opposition with a number of free-kicks being given away in the opening exchanges. The Dundee supporters were furious when defender Walter del Rio was sent crashing through the advertising boarding at the Shed end by Derek Lilley whilst he was trying to shepherd the ball out of play. Lilley was booked by referee Willie Young for the reckless challenge. Six minutes into the game and from a free-kick just inside the United half – the sixth of the match – Dundee almost created an opening. The ball was played out wide to the left wing where it was played low into the box with Steven Milne lurking in front of goal but Stephen Wright did well to get there first and kick it out for a corner. From the resulting set-piece the ball found its way to Fan Zhiyi near the back post and the Chinese international took the shot first time on the half-volley which was blocked on the line by a United defender. 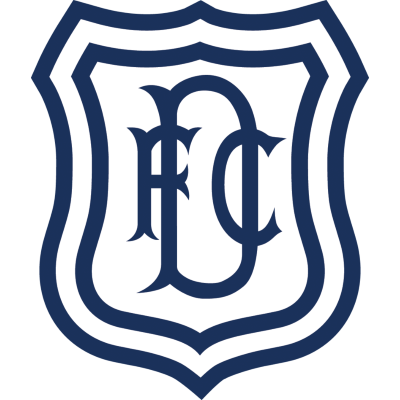 Dundee went close again when Romano found Steven Milne inside the box with his back to goal: the young striker turned and played a dangerous low ball into the six yard box which took a deflection on its way through before being gathered by Paul Gallacher just ahead of Jaun Sara. The away side were creating by far the better chances in the early period of the first half and for a moment it looked like they were going to take a deserved lead: a ball over the top of the United defence put Steven Milne through on goal and he took the ball around the goalkeeper but played it a little too far in front of him and in any case the flag had gone up for offside. The match then turned in favour of United after Gavin Rae had to leave the field of play after picking up and injury and the home side started posing a threat to the Dundee goal. Julian Speroni was forced into a brilliant save when a Craig Easton shot from the right-hand side of the penalty area took a wicked deflection off of a defender and looked to be looping over him but the young Argentinian did well to backtrack and tip the ball over the crossbar. Speroni pulled off another superb save when Charlie Miller made room for himself on the edge of the box to unleash a powerful left-footed drive but the goalkeeper did well to turn his effort wide of the post. Straight from the restart Dundee ventured into the United half and won a corner-kick. From the corner the ball broke out to Walter del Rio on the edge of the box and his brilliantly hit first time half volley was destined for the top left-hand corner of Paul Gallacher’s net but fortunately Jim Hamilton was on hand to block the shot with his head and the ball looped out for another corner to Dundee. From the next set-piece the Dees went even closer to taking the lead, the ball into the box evading everyone except Juan Sara who was arriving late and his tame effort from 10 yards was tipped just around the post by Gallacher who had only seen the shot at the last second because of the crowd of players standing in front of him. After surviving an early second half onslaught by Dundee, United went straight up the other end and began reasserting their dominance. Craig Easton again forced Speroni into a save with a low drive from the edge of the box which the Argentine just managed to hold. Shooting down the slope towards the United supporters in the East Stand, the Terrors started really taking the game to Dundee and almost scored a brilliant goal following a counter-attack with Jim McIntyre firing inches over the crossbar with a first time shot from the edge of the box. United came even closer to taking the lead when a floated ball into the box was headed brilliantly towards goal by Jim Hamilton but he was denied by the flying figure of Speroni who tipped his goal-bound effort just round the post. Dundee’s goalkeeper had been unstoppable so far but he had the woodwork to thank when Hamilton was played through one on one by a long ball up the field. United’s top goal-scorer raced clear of the Dark Blue defence before trying to fire the ball across the face of goal and although he beat Speroni his shot his the base of the post and rebounded to safety. Hamilton was then replaced after injuring his hamstring in the act of shooting. Although Speroni was stealing the show, Paul Gallacher showed that he himself wasn’t a bad goalkeeper when a lobbed effort from Beto Carranza looked to have caught him off his guard but he did well to tip the ball over for a corner. From that corner Gallacher again pulled off another terrific save to prevent Fan Zhiyi heading Dundee into the lead. With the game heading into stoppage time it looked as if for the third time this season the Dundee Derby would end all-square unless there was a late twist. In the 90th minute United were awarded a free-kick out wide on the right. Charlie Miller stepped up to cross the ball into the box and his inch-perfect delivery was met by Jim McIntyre who headed downwards past the helpless Speroni and into the net to send the home fans wild in celebration. Due to the lateness of the goal, Dundee had no time to regroup and press for an equaliser and the crowd had barely stopped celebrating when the referee blew his whistle to indicate the end of the match. 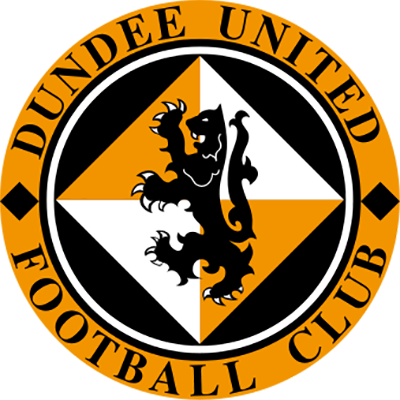 A tremendous result for United who had recorded their first home win over Dundee inn over two years and a last-minute goal that would go down in Tannadice folklore. It also meant that United were now unbeaten in four Dundee Derbies.